David Luiz heading for second Chelsea exit? Chelsea defender David Luiz could consider a fresh challenge away from the Blues next summer with the club reluctant to offer him a multi-year contract. The Brazil international is currently one of the first-choice central defenders for manager Maurizio Sarri alongside Antonio Rudiger and he most recently scored the second goal in the stunning 2-0 league win over Manchester City. Nonetheless, his future remains under question with his current deal expiring in seven months' time and according to The Mirror, he could face the prospect of another exit from the Blues in the summer. The west London giants have generally offered one-year extensions to players aged above 30 and they are reluctant to ease the policy for Luiz, who is said to want at least three years included in the renewal. 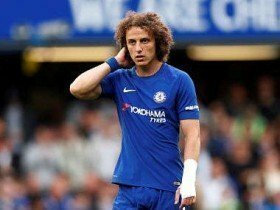 As things stand, Luiz is free to discuss a pre-contract with an overseas club in the New Year but he may wait until the end of the season in the hope that the Blues change their contract stance.